Suffolk Chess: Suffolk's largest social chess club? 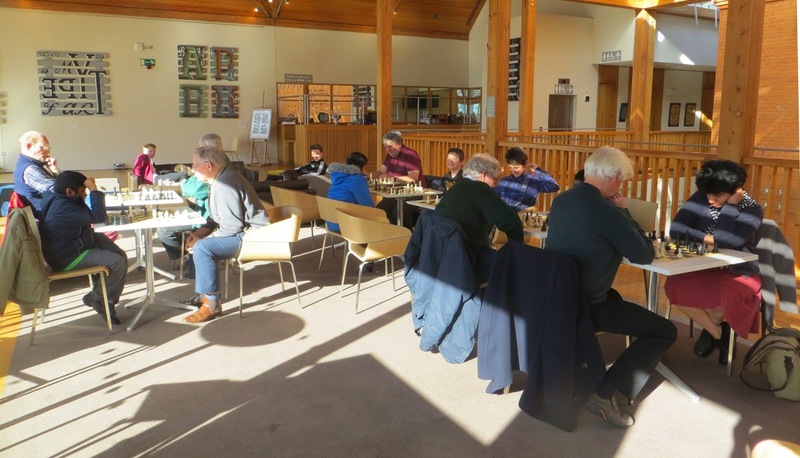 The Apex Chess Club, in Bury St Edmunds, continues to thrive. Today saw 14 people playing, including several children who are on their school holidays. Whilst most evening clubs struggle to find enough players for (non-league) social chess, the Apex Club neatly fills that gap. The Club is free, and car parking nearby is also free on Tuesday afternoons.